1. 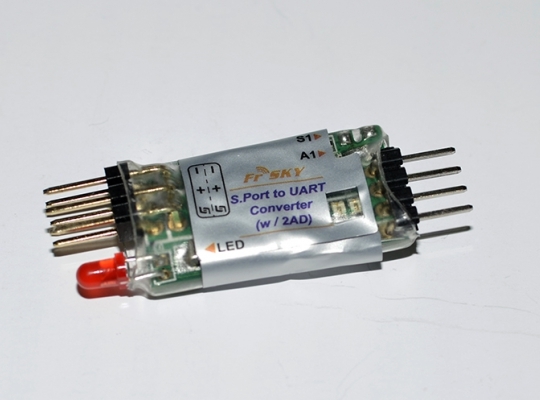 Serial port Data-Transmission at S.Port BUS. 2. Analog Signal AD input via S.Port. Baud Rate: 300 bps (default), 8N1, no parity. 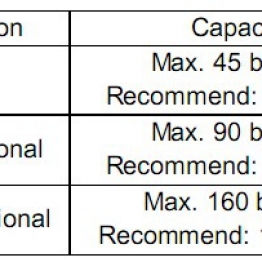 The Baud Rate is possible to reconfiguration within 300bps, 600bps, 1200bps, 2400bps, 4800bps, 9600bps. To Enable Data-transmission at S.PORT BUS, the Host (Type A) and Remote (Type B) devices are requiring use as pair and set in same Capacity Mode. - We definition the Host (Type A) is connect with XJT by S.Port, Remote (Type B) is connect with S.Port of X8R receiver. - When input data from Type B UART port will output the same data at Type A UART port. Vice versa. 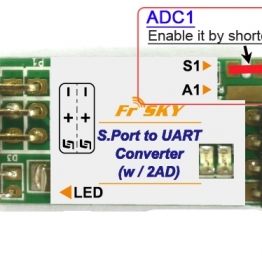 Many customer contact us how to connect Frsky battery voltage sensor with X8R receiver, because the X8R receiver is not built-in the AD port, which is not support connection FBVS with X8R directly. Now, you can, through this adapter. 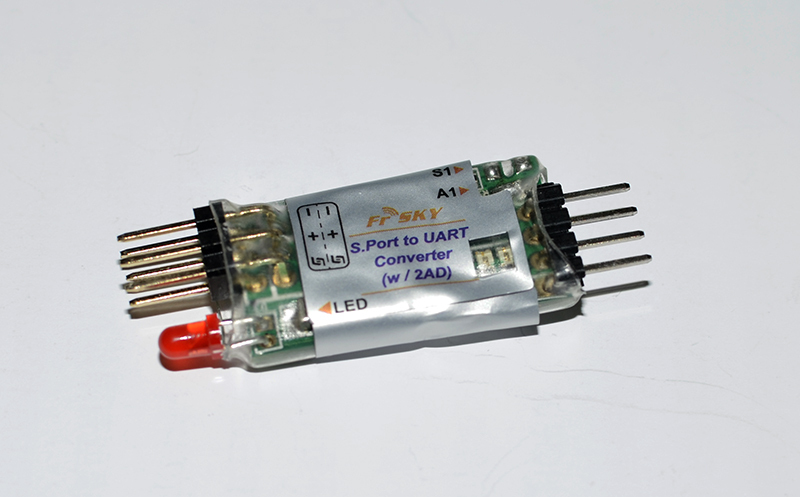 The SP2UART have two ADC ports, supporting link with external analog devices. It is very simple, just need enable the ADC function by SHORT CIRCUIT S1/S2 & GND is ok, and now you can connect / solder the FBVS to SP2UART as connect with D8R-II plus rx.